Entertainment in a pleasant atmosphere along with a high-quality, fresh cuisine to satisfy all appetites. Enjoy the luxury of being spoiled and let us take care of all your wishes in our very special marquee theater! Our food is made fresh each day and of the finest local and seasonal products. Our selection of beverages includes a wide choice of alcoholic and non-alcoholic drinks. For example, enjoy a Berliner Pilsener beer on tap or a classic prosecco. Our wine list provides something for every taste. The seasonally changing menus are complemented by an excellent wine list. You can dine before the performance, or simply enjoy a pre-theater drink. If you have any food allergies, please ask our service staff for more information. 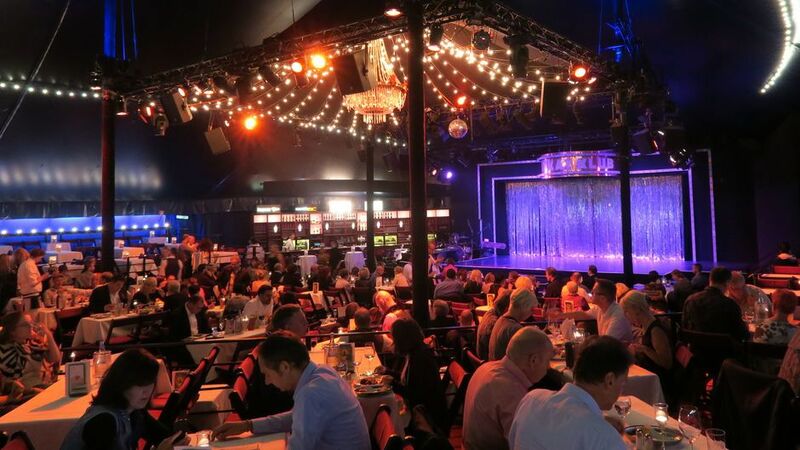 In respect for the artists on stage, we do not serve during the show and kindly ask you to give your orders to our waiting team about 15 minutes before the performance begins. 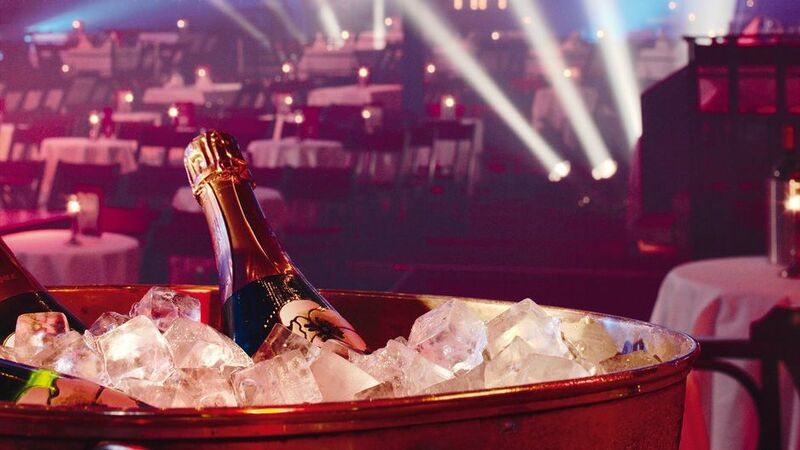 Treat yourself to some TIPI AM KANZLERAMT luxury and celebrate in style with a bottle of champagne at candlelight. A glass (0,2l) of red or white wine or one bottle of mineral water with Pasta Vegetariana Italiana. You can book culinary packages (subject to availability) up to one day before a show directly at the box office or via our ticket hotline on 030.390 665 50. In addition to the packages, we also offer the option of choosing from our current menu on the evening. However, in such cases it is not possible to reserve a specific table. We serve the starter and the main dish before the show, and dessert during intermission. To enjoy your food in a relaxed atmosphere and with plenty of time, please ensure that you arrive at TIPI at 6:30 pm (on Sundays at 5:30 pm). We will start serving the food around 6:45 pm (on Sundays at 5:45 pm). You can book the menus via our ticket hotline at + 49 30 390 665 50 or at the theater until one day before the performance at the latest. Our extensive list of beverages offers you a variety of options ranging from wine by the glass and bottles to Crémant and Champagne or seasonal refreshments. Or enjoy a Berlin Pilsner beer. Enjoy an impressive view of the chancellery. 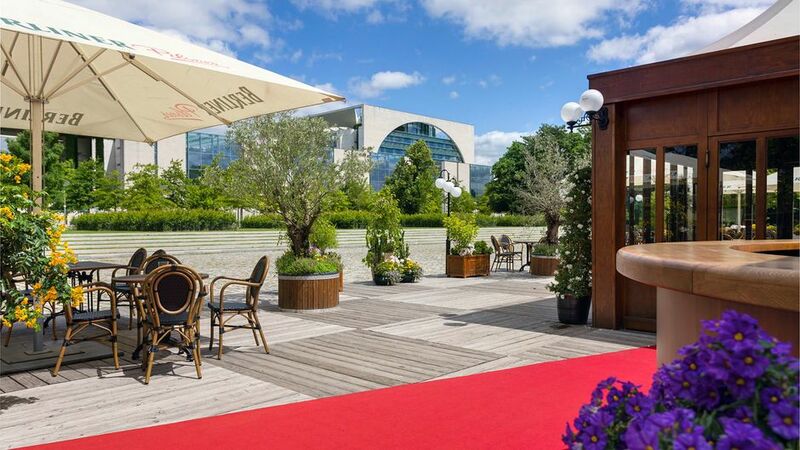 Wether before the show, during the interval or on a warm night after the show – our beer garden with its pleasant atmosphere is the perfect place to have a pre-theater drink or to enjoy a meal from our delicious menu surrounded by the green Tiergarten. Our beer garden is open in summertime: Tuesday – Saturday from 5:30 pm and Sundays from 4:30 pm.